I have a bumper crop of Mullein growing at Tiny House Ontario. Check to be sure that you are not allergic to it first like with any plant, but this is a GREAT toilet paper replacement if you get caught in a pinch. I am going to dry some of it this year too. I have not tried any of these things and thus do not suggest that you be my guinea pig. I understand that Mullein Leaf has served many purposes over the past few centuries, from making candlewicks to casting out evil spirits. However, as an herbal treatment, Verbascum thapsus was primarily used as a cure for diarrhea, respiratory diseases and hemorrhoids. The leaves and flowers of the Mullein Leaf are classified in traditional herbal literature as expectorants and demulcents. Mullein Leaf or scientifically referred to as Verbascum Thapsus is a wildflower native to much of Europe and Asia which can grow almost anywhere. Because of its thick, soft leaves, it is also called Grandmother’s Flannel and Our Lady’s Flannel. The word Mullein is said to be derived from the Middle English word for “soft” which is moleyne. Traditionally, Mullein Leaf has been used by medicinal herbalists to aid with problems of the respiratory tract, such as cases of irritating coughs with bronchial congestion. Some herbal treatments extend the therapeutic use to pneumonia and asthma. As far as natural herbs go, the Mullein Leaf is purported to reduce inflammation of the trachea along with soothes irritated tissues. Due to its high mucilage content, Organic Mullein Leaf is also recommended for topical applications by herbalists as a soothing emollient for inflammatory skin conditions and burns. Externally, an extract of these herbs made in olive oil is used for soothing and easing ear problems. Mullein Leaf is also thought by some herbalists to provide constipation relief, help with sleeplessness, care for the kidneys and help with nervous tension. 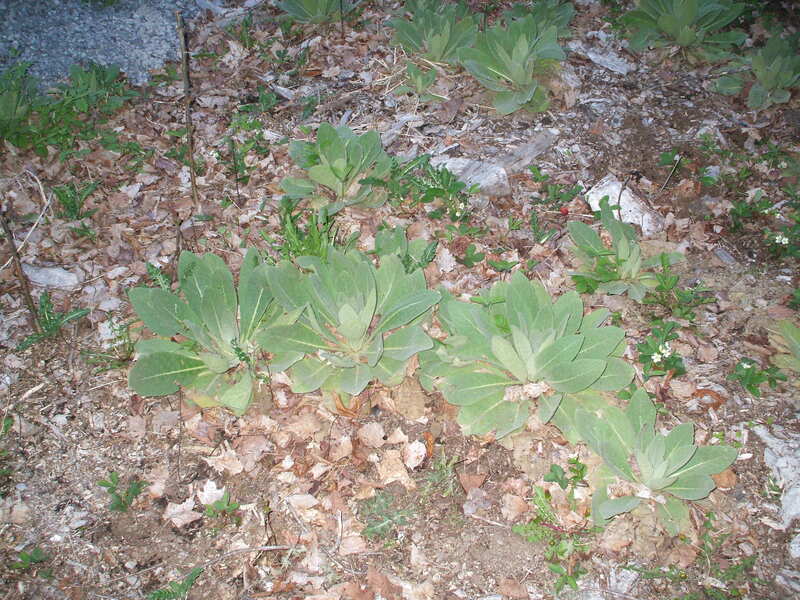 The Mullein has very markedly demulcent, emollient and astringent properties, which render it useful in pectoral complaints and bleeding of the lungs and bowels. Slightly sedative and narcotic properties. Demulcent, emollient, astringent and sedative.